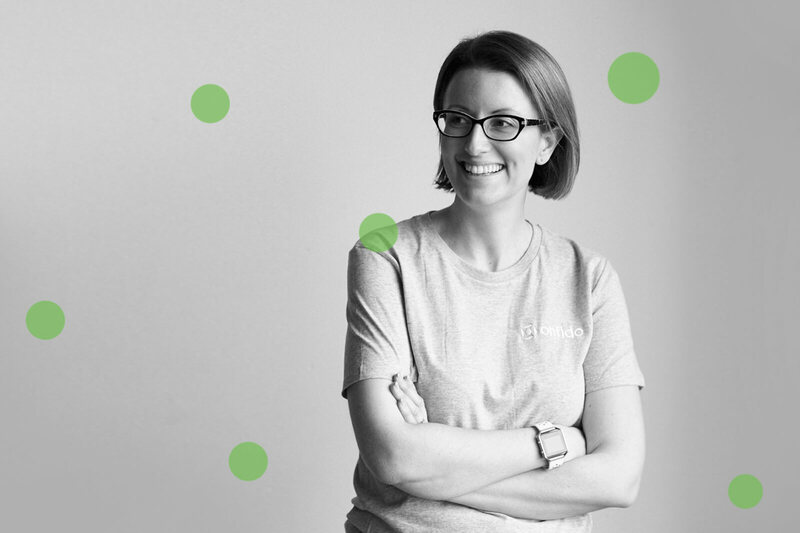 Emily Scammell is Director of Internal Communications at Onfido, an identity verification software that is currently London’s fastest growing scale up. She is a highly experienced internal comms professional, having initiated and led Internal Communications for over 16 years at businesses like Virgin and Kantar. 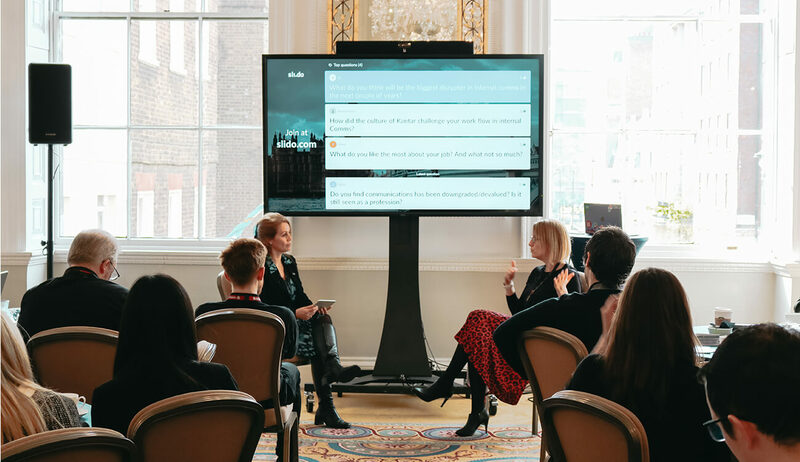 We were delighted when Emily agreed to take part in the fireside chat with our own Brand and Communications Director Kursha Woodgate at the Internal Comms Meetup in London organized by Slido. Here’s the write-up of their inspiring talk. Q: Emily, you’ve been in internal comms for a while, working for various different companies. What sort of changes have you seen in internal comms in that period? With the new generations coming into the workplace, I think there’s a higher expectation from employees in organizations. They want to experience things in the workplace that they would experience in their everyday lives. They are looking at Facebook and Instagram, being able to give instant feedback on things and have a say. Internal comms had to move with the times and embrace that style of interaction. It is no longer about coming up to people and asking them what’s going on. It’s more about incorporating a two-way communication into everything we do from the internal comms perspective, about changing the whole ethos and mindset in the organization. That’s why it is important for the leadership to come on that journey with us. Q: What do you think impacts the success of internal comms in an organization? The thing that really makes a difference is building strong relationships across different teams, leadership and key influencers in the organization. If you have a buy-in from the top, you know something’s going to land even before you’ve sent it. Also, listening to what people want and letting them know how they personally contribute to company strategy is the key. Q: What do you think will be the biggest disruptor in internal comms in the next couple of years? With all the changes happening in how organizations communicate internally, it is important that internal comms really has a seat at the table. I talked to many internal comms pros and they all seem to be asking the same thing: do businesses make decisions with internal comms in the room? I think if we can get to the point where big decisions that really impact employees in organizations are made with internal comms in mind, that would be a really big change. Also, technology will be a big disruptor. Tools like Slido will make the change. It’s the internal comms’ task to pick the right tools, ones that are simple enough and support interaction in the workplace. Kursha Woodgate interviews Emily Scammell at Slido Internal Comms meetup in London. At Onfido, aside from budget constraints, I can basically go for any tool where I see the value. And the greatest value for me is making it easier for people in the team to interact and have a say. Otherwise, we’re risking losing them. Q: As you said, leveraging technology is important. How does it change town halls from the employees’ perspective and from yours as an internal comms professional? I think the new generation of employees want interaction and to have their voice heard. People carry their tech gadgets with them in every meeting, and they expect to use them to express what’s on their mind. If we don’t give them the chance to do so at every town hall, we lose the opportunity to hear them out and learn more. Because otherwise, they wouldn’t say it. For me, it’s a great temperature check. As an internal communicator, I need to have fingers in all the pies. It’s important for me to know what each team is working on, how did projects turn out, etc. I need to know what people think about the company, the team, and their roles within the team. Roundtable discussions at the Internal Comms Meetup in London. Getting feedback from employees is everything. Interactive tools really help me with that. Thanks to technology, I can do my job as an internal communicator better and open more doors. Q: What tools do you have in your utility belt? We use Slido heavily, and not just in town halls, we use it in lots of different types of interaction. In some teams, we have questions constantly on, employees send them in and the most upvoted questions get answered continuously. We’ve also just launched Poppulo, the email distribution tool, which I find to be a game-changer. We also use Slack a lot. And, of course, Zoom to broadcast our town halls and other meetings. Q: I know you’re running town halls quite frequently at Onfido. How do you stay creative on a weekly basis? Yes, we’re running our global town halls every Friday, each one is about an hour long. At first, it was a great challenge for me. And believe me, not every single Friday is the best I’ve ever done! But we always try and bring something new to the town halls. We do fun stuff like game shows, we’ve done kind of a dating show, in a ‘blind date’ type style. We scatter your more standard presentation style on Fridays, every now and then we do something different, we change up the style a bit so there’s always something different happening. 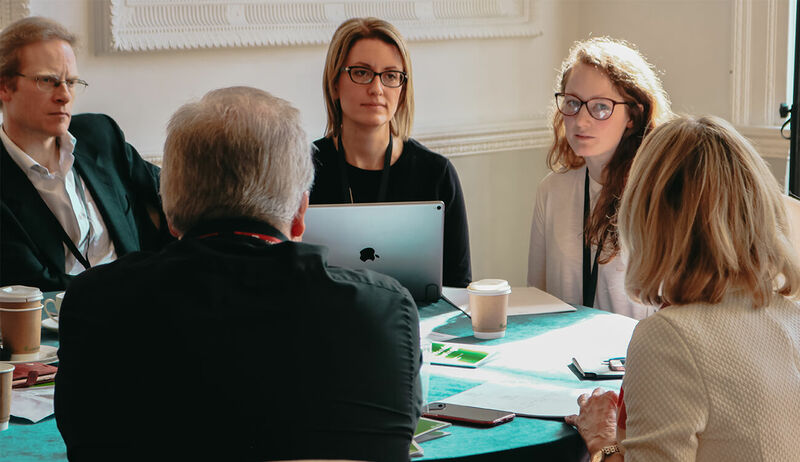 Q: How do you prepare and run your town halls at Onfido? We plan well ahead. We know what’s coming from month to month. At our town halls, we do a lot of fireside chats, we’ve got our customers involved, we hand over the reins to many different parts of the business. We offer time to different teams, different leaders, we make sure there’s always interaction. Our town hall is very much a part of the culture of the organization. We are a global company and we try to be as inclusive as possible. Onfido has offices around the world, so we always record our town halls. We also change up the times of the meetings accordingly. One time in the morning, one time in the evening. Q: Did you have to fight any challenges in particular with your town halls? We have plenty of introverted people, who don’t like to speak up. I need to use different channels to reach these people and learn what’s on their mind, like Slido or Slack. Also, we have a bit of a challenge in terms of the level of anonymity within the organization at the moment. We know that the challenging questions are going to come through from an anonymous source and are not always the most constructive topics that we want to talk about. There are pros and cons. I think you always need to provide that anonymous way of getting in touch with leadership. But we have found that if people put their names, the questions tend to be a bit more intelligent and well thought-through. But there’s a place for both I think. Thank you, Emily. It was lovely to talk to you.